The 17th annual Mid-Year Training Institute (MYTI) hosted its largest attendance yet earlier this summer, with 2,100 attendees traveling to Orlando, Florida, and a robust program featuring 99+ training sessions. Additionally, this year saw an increase in international attendees, as 75 individuals from all over the world flew to Orlando to represent 20 countries. These attendees were drawn from over 50 organizations and institutions including non-governmental organizations, municipal police departments, International Narcotics and Law Enforcement representatives and three mayors. 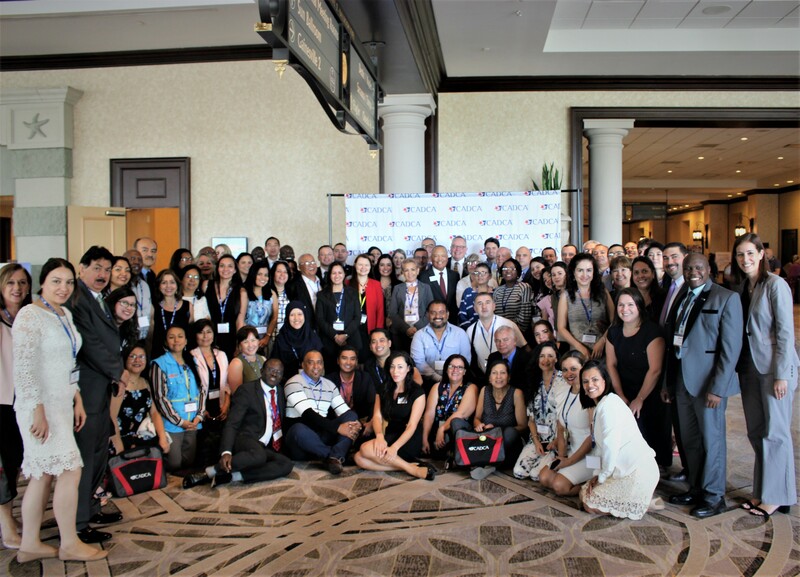 CADCA implements the coalition model around the globe, so it was key that nine of its international trainers were on hand to offer educational trainings, as well as their expertise to the attendees. Also participating were 18 in-country coordinators responsible for coalition development in their home countries. “The MYTI is a fantastic opportunity for coalition leaders from around the world to be able to come together under one roof, to network, to learn from each other, and to share experiences that they can take back home to their countries and apply to the wonderful work they are doing in their communities,” said Eric Siervo, Vice President of International Programs, CADCA. There were eight sessions specifically tailored to this diverse international audience, of which five were offered in Spanish, one in Russian and two in English with simultaneous interpretation services on-site. The teams from Peru, Puerto Rico and Mexico hosted their own sessions on sustainability, documentation and community assessment. In addition, there was a networking session for participants from Africa as well as a social outing that included 55 of the international attendees. “An important development that came out of this year’s MYTI was the networking sessions tailored to specific world regions. In addition to the Spanish-language training tracks now common to the MYTI program, Africa and Central Asia hosted their own regional sessions to present their work, share their experiences and connect in a meaningful way with coalition leaders on their own continent,” said Siervo. CADCA offers training, coalition development and other resources focused on the development of strategy to create community coalitions in numerous countries affected by the cultivation, trafficking and use of illicit drugs. CADCA's international trainings offer essential competencies and skills necessary to help create a culture of legality and bring about reductions – at the community level – in illicit drug use rates. CADCA’s International Programs has helped create more than 200 coalitions in 25 countries on five continents since its initiation. “International participation at Mid-Year has grown from 40 participants from 12 countries a few years ago to 75 from 20 countries. This has truly changed the dynamics, catalyzing this regionally-focused dialogue and a robust exchange of ideas and culture,” said Siervo.